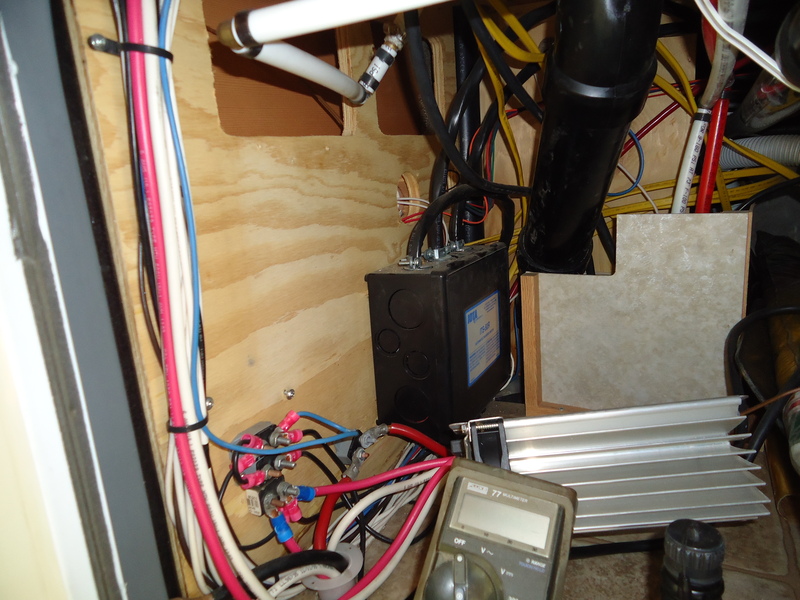 After taking an extra-long walk, I started in the process of adding two new batteries and the new larger inverter. In this picture you will see the old inverter removed (it has the fins), now comes the problem the new inverter needs twice as much room as the old one :). They are now out but not moved! 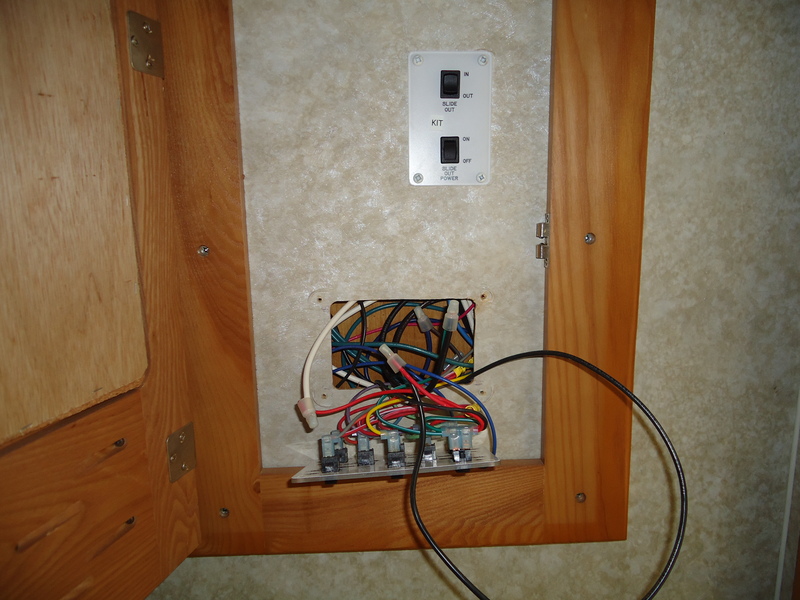 Why you ask – I thought this would be a 15 minutes project, just add wire and move them up four feet. 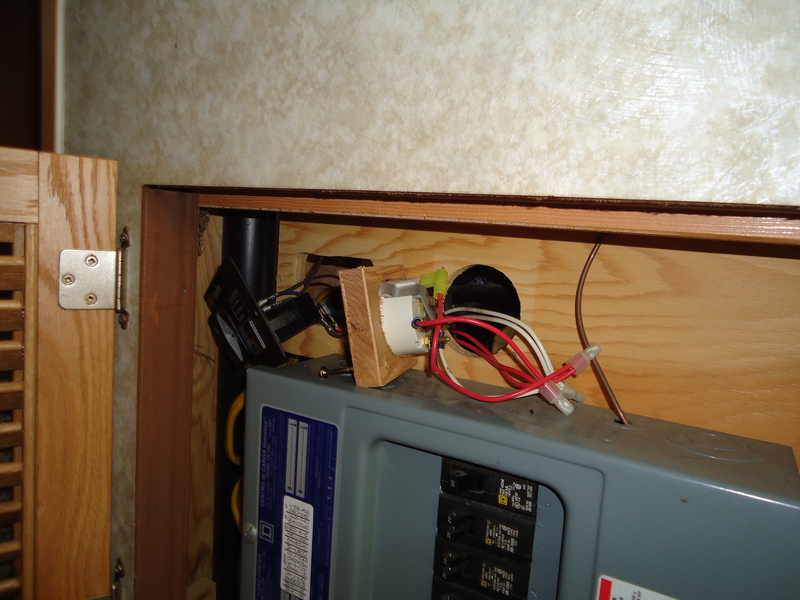 Well the area above is solid wood so it took me 90 minutes to get the wires moved. I found out there are 9 wires and I don’t have 9 different colors. 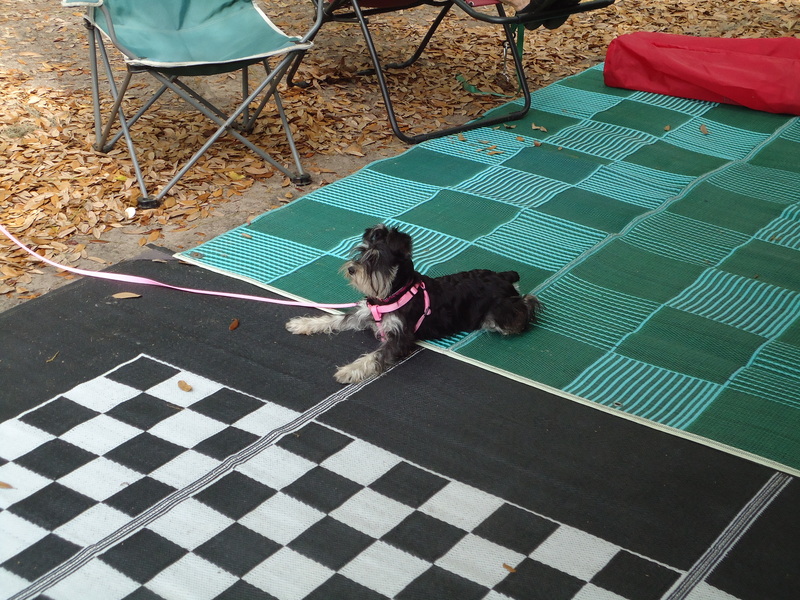 Dr. Debra came out to Ocean Pond Camp at 2 PM to check out Miss Peggy, Miss Mary Ann and myself. She also brought a diet plan for me! 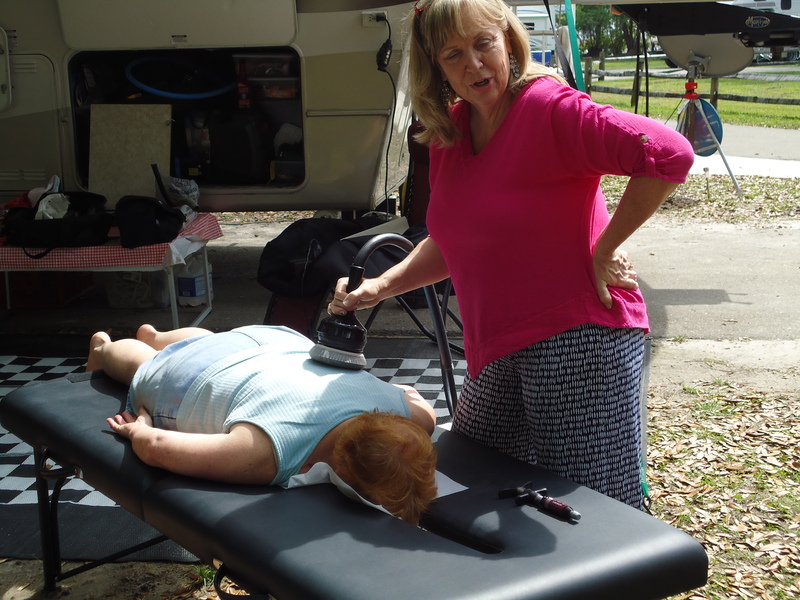 Miss Mary Ann getting an adjustment on her knee. 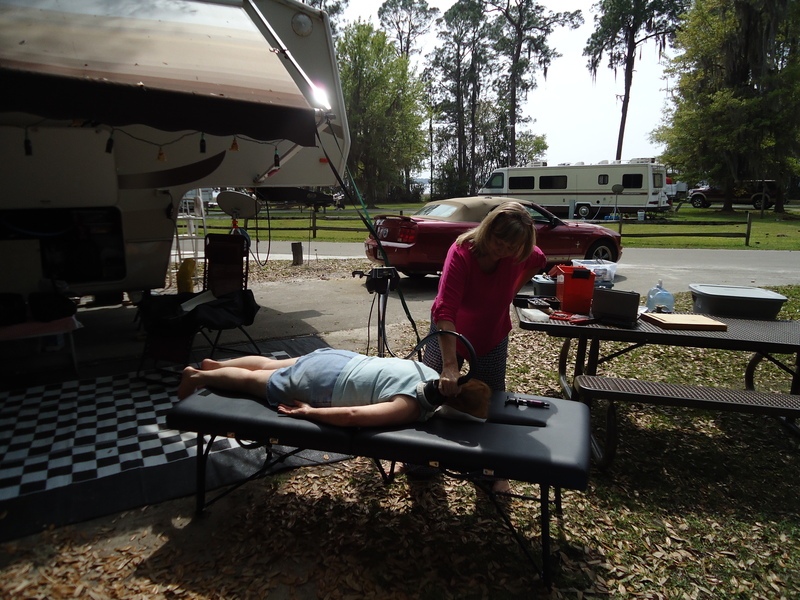 Miss Peggy getting her neck worked on. …and yes Dr. Debra likes to talk. She brought her puppy as she on her way to Fort Lauderdale. 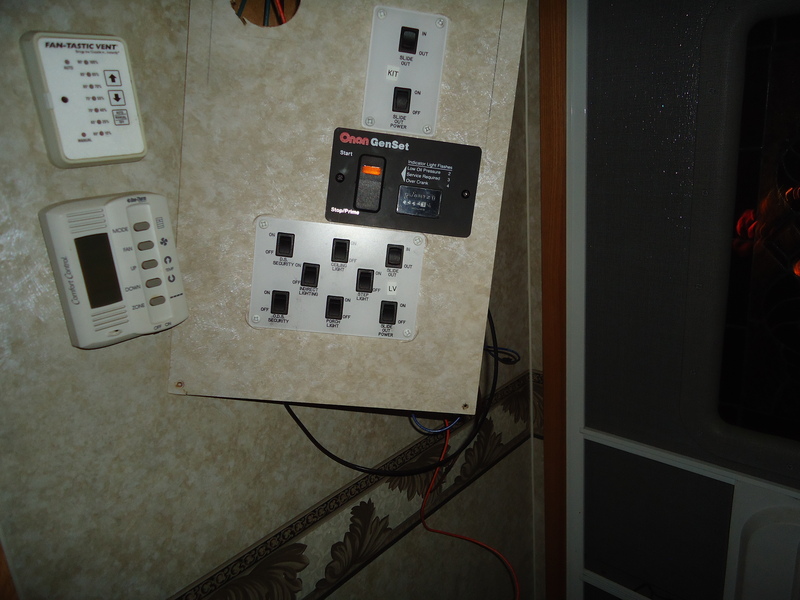 I started back on my project at 3:30; I finally got the generator controls installed. 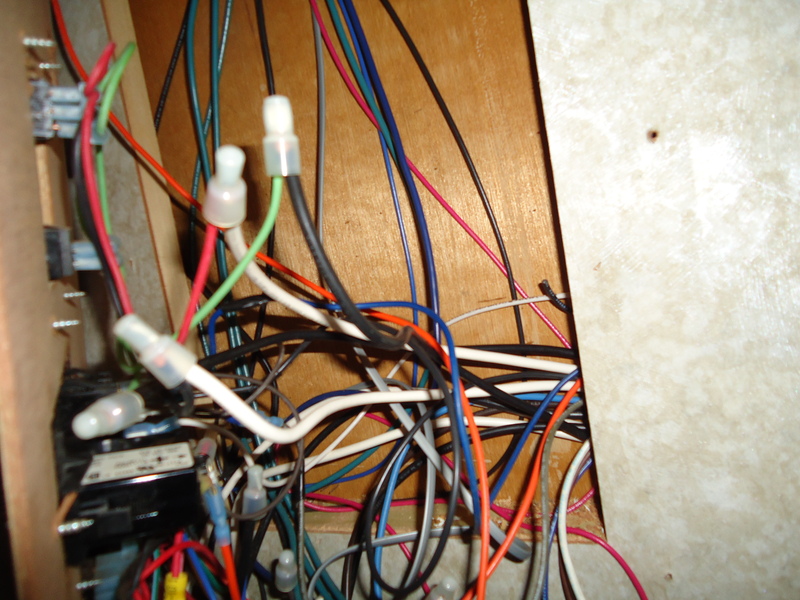 This is the wiring behind the panel, what a mess! I will be rewiring it. After another (shorter) walk we had a quick diner and went over to the community fire. “Your dead will live; their corpses will rise. You who lie in the dust, awake and shout for joy” Isaiah 26:19 . This entry was posted in Uncategorized and tagged Atlas Orthogonist, boondocking, drycamping, fifth wheel, frugal rv, fulltimer, landyachty, remodel rv, RV Budget, RV Doctors, RV Finances, rv inverter, RV Taxes, toyhauler, workamp by landyachty. Bookmark the permalink.